Beginning this fall, students can enroll in the only Neonatal Nurse Practitioner (NNP) specialty program in the state of Georgia. 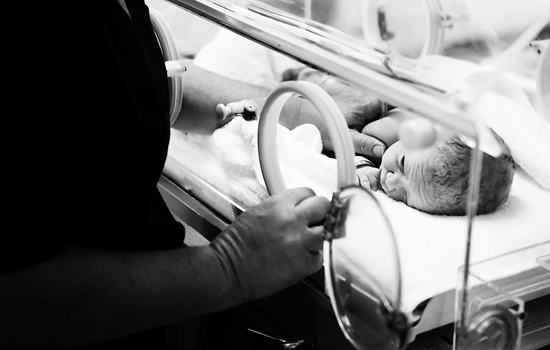 This new specialty at the School of Nursing will educate experienced neonatal nurses as primary, acute, and critical care advanced neonatal practice nurses. Students will be trained to perform comprehensive physical assessments, diagnostic evaluations, and symptom and disease management for the neonatal population. The specialty requires four consecutive semesters of full-time study. Students will be prepared for independent NNP practice after completing more than 600 clinical training hours at Emory-affiliated neonatal intensive care units and outpatient clinics. Additionally, the NNP curriculum will provide education across the life span on topics related to health care promotion, health care quality and safety, and health assessment. All students will participate in leadership development seminars, professional growth courses, and research/evidence-based projects. Clinical experiences will be tailored to meet students' individual needs to cultivate independence in the neonatal advanced practice role. To learn more, visit bit.ly/NNP-Emory. For additional information about degree programs in the School of Nursing, contact Carmen Jones, admission adviser, at 404-727-6674 or carmen.r.jones@emory.edu.